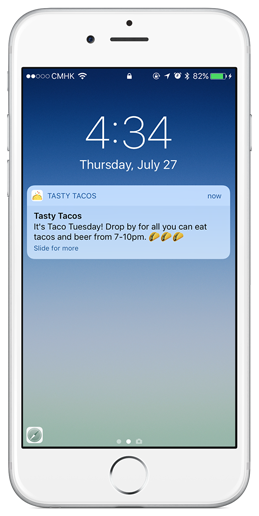 Learn how messages work & how to send messages to your customers. 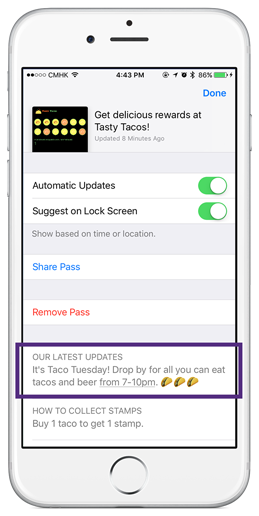 Your messages will appear on the lock screen of your customers' device. It looks like a standard notification you normally see on your lock screen (e.g. email, WhatsApp message). Note: Lock screen messages do not trigger a 'buzz' or vibrate. If you do have a long message, your customers will still be able to see the entire message on their card.